Solar Star Attic Fans cost nothing to operate and can provide greater comfort, save energy costs & prolong the life of your roof. Attic ventilation isn’t always at the top of the home improvement list, but improper ventilation can create significant problems for your home. In the summer, heat can build up and cause rooms to become uncomfortable, forcing your air conditioner to work harder. In the winter, warm air rises and melts snow, potentially causing ice dams, leaks, and water damage. Additionally, cold air from outside can condense and cause water damage. 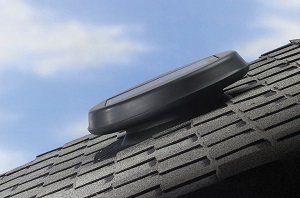 The best solution to these problems is a Solatube® Solar Attic Fan from Carolina Energy Conservation. Solatube is an industry leader in energy efficient home solutions, and as a certified dealer, we are proud to provide their excellent products to our customers. We are expert home energy contractors with the experience, workmanship, and products you need to keep your home running efficiently and your energy bills low. 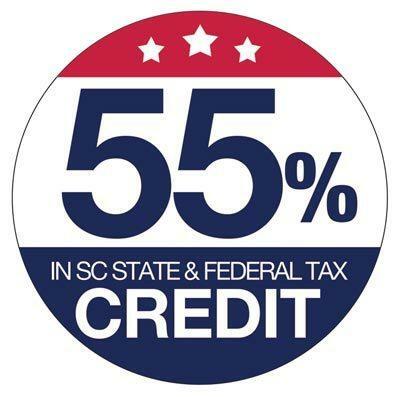 Call us today or click below for a free quote in Charleston, Myrtle Beach, Sumter and surrounding areas! 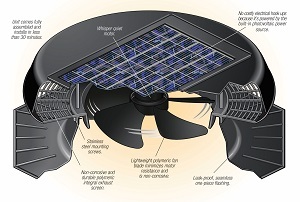 How does a Solatube® Solar Star Attic Fan work? Solatube® Solar Star Attic Fans use the energy of the sun to fuel a powerful fan that will create a consistent air flow that keeps your attic cool and dry. The fan is incredibly quiet, made from durable, weatherproof materials, can be professionally installed in under two hours and requires no structural modifications. The fan keeps air circulating and at a consistent temperature, ensuring that your attic is protected against the negative effects of poor ventilation. Solar Star attic fans are worry free once installed, so you can just sit back and watch your energy bills drop. What are the benefits of a Solar Star Attic Fan? At Carolina Energy Conservation, we are committed to making your home more energy efficient. That's why we offer a wide range of renewable energy solutions and other energy improvements. Our experienced professionals will work with you to find the best possible solution to all your energy needs and our Solatube® products offer state of the art technology and top-notch quality. 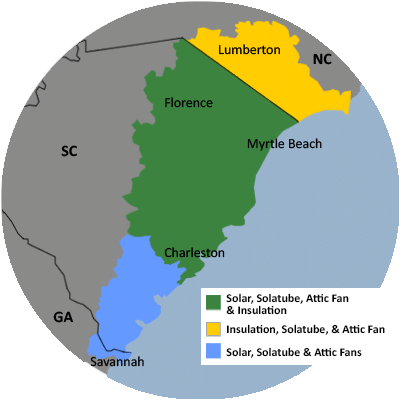 We can install Solatube® Solar Star Attic Fans for homes in Savannah and Pooler, Georgia or in Sunset Beach, North Carolina. Call us today to get a free quote on all your home energy needs. We proudly service Florence, Bluffton, North Charleston, Mount Pleasant, Beaufort, Goose Creek, Darlington and many nearby areas.